REDMOND, Ore. — Hayden Homes was honored with first place in the Headquartered Outside Washington category for Seattle Business Magazine’s “100 Best Companies to Work For.” The award salutes Washington companies that set the standard for executive leadership, benefits, rewards/recognition, corporate culture, training, work environment and more. The Best Companies to Work For are determined by anonymous responses to direct employee surveys. Seattle Business Magazine sent anonymous workplace surveys to employees throughout Washington state as part of the selection process. 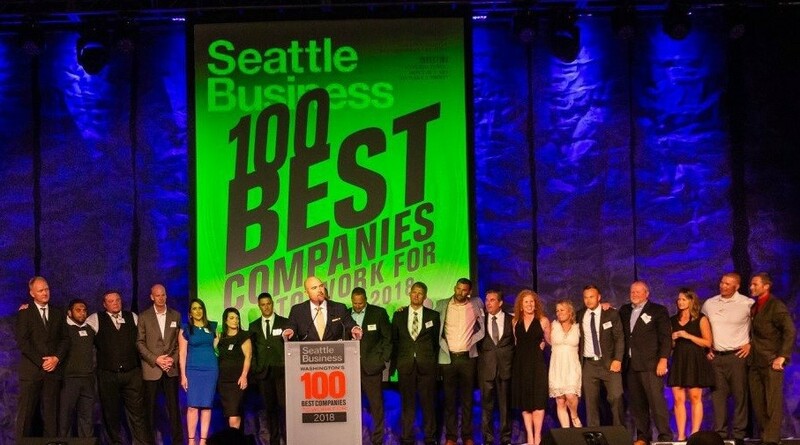 Based on thousands of confidential surveys completed by employees, the honorees encompass companies across the state of Washington in four categories – small firms, midsize firms, large firms and firms headquartered outside Washington State. Established in Redmond, Oregon in 1989, Hayden Homes has provided 15,000 new homes to price conscious, value-driven homebuyers in underserved, secondary markets throughout Washington, Oregon and Idaho. Hayden Homes continues to be the largest privately owned new home builder in the Pacific Northwest. With a commitment to building a strong community together, Hayden Homes has contributed 2.5 billion dollars to local economies and creates more than 5,500 jobs annually. Hayden Homes supports philanthropic efforts in the communities in which they build and have contributed more than 13.3 million dollars in charitable donations with the flagship of their giving through the 501(c)(3) Non-Profit, First Story. To date, First Story has provided 72 deserving and capable families throughout the Pacific Northwest with a safe, healthy affordable home and a first step toward financial freedom. The Hayden Homes brand family of companies includes Simplicity by Hayden Homes, Wise Size Homes and Hayden Homes, all providing an unparalleled selection of opportunities for those looking to purchase a new home.